During a meeting between Bahamian Prime Minister Perry Christie yesterday, Chinese President Xi Jinping announced an agreement that would allow the trading of residential mortgage-backed securities to take place in The Bahamas. Prime Minister Perry Christie (middle) is pictured introducing his ministerial delegation to the President of China, Xi Jinping, at the Great Hall of the People in Beijing January 7, 2015. Foreign Affairs Minister Fred Mitchell, second from left, shakes hands with the President. See the complete photo selection (courtesy BIS) after the jump. 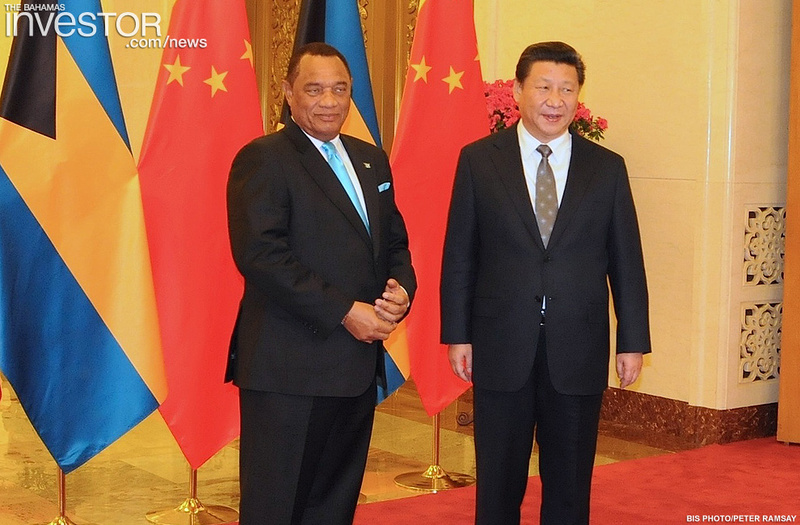 During a meeting between Bahamian Prime Minister Perry Christie yesterday, Chinese President Xi Jinping announced an agreement that would allow The Bahamas to be a country where international parties can be settle debts. *The Bahamas Investor apologizes for the error replicated from our source regarding RMBS. 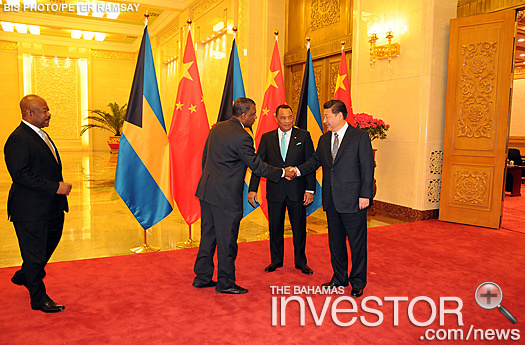 According to the government, the financial services sector stands to benefit substantially from the introduction of this new financial product and service, making The Bahamas only one of three countries in the world where RMB transactions can take place. The Prime Minister and his ministerial delegation are in China this week to attend the China/CELAC Forum in addition to pursuing a number of projects and initiatives on behalf of the Bahamian people. 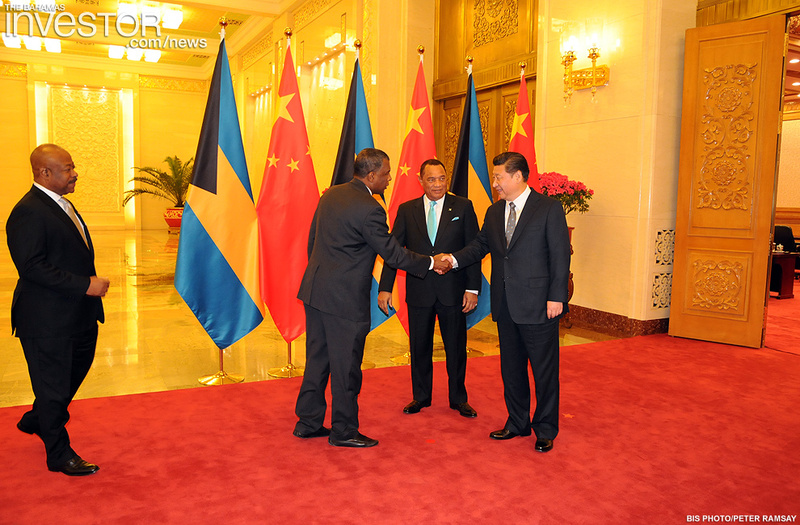 These projects include a reciprocal air services agreement involving Air China and Bahamian registered airlines; an indoor stadium for youth development; an agreement on technical and research cooperation between the Bahamas Agriculture Marine Science Institute (BAMSI) and China’s Ocean University, as well as other investment opportunities. The delegation is due back in Nassau January 11. 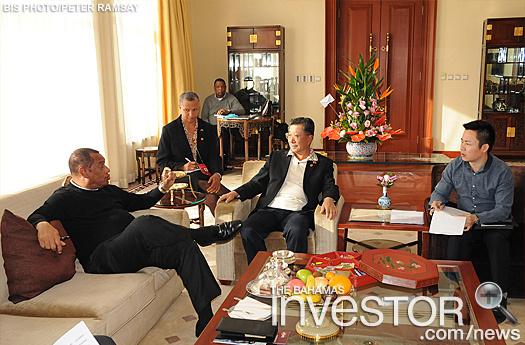 Direct flights, further investment and technical assistance are just some of the topics being discussed with Chinese officials during Prime Minister Perry Christie's visit to Beijing, China, this week. Watch a ZNS Network news interview with the Prime Minister here. SK+G, the full service marketing agency behind the branding and creative development for the $3.5 billion Baha Mar Resort & Casino in Nassau, announced the debut of a short promotional film that premiered online earlier this week.